It seems to be human nature that people are captivated by miniature versions of everyday things. This is probably no place more evident than in the case of people’s fascination with the smaller version of themselves – namely midgets. 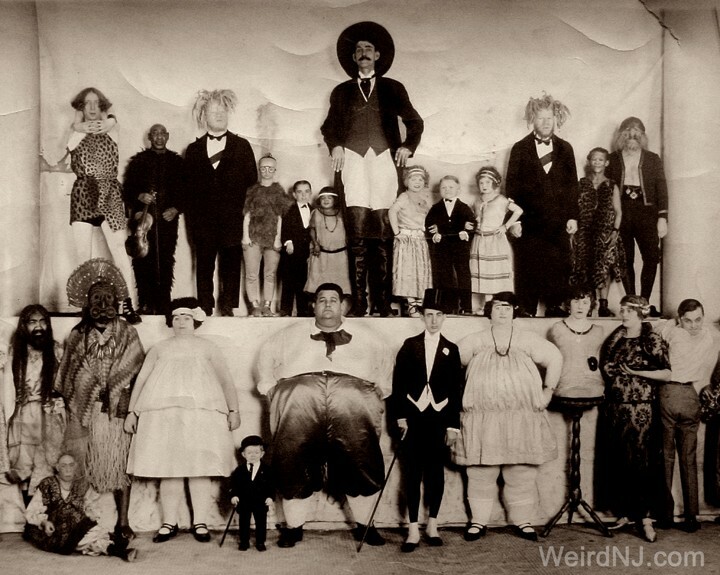 Little people have always been show stoppers in circuses and side shows, on the stage and on the silver screen. In the 1800s the world fell in love with P.T. Barnum’s General Tom Thumb. In the Twentieth Century audiences were mesmerized by the Munchkins of Oz, as they are today with Austin Powers’ Mini Me. Little people enjoy an elevated status in the minds of New Jerseyans too, as their homes have become the stuff of legend. There is perhaps no more fabled place in our state than the mythical village of Midgetville. 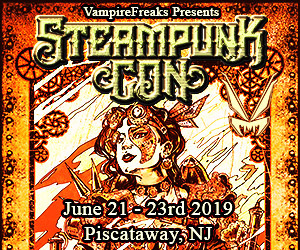 Spurred on by tales of this tiny town and its wee inhabitants, Weird NJ has visited at least half a dozen locations rumored to be the home of a colony of these vertically challenged individuals. In most cases we have come up short. 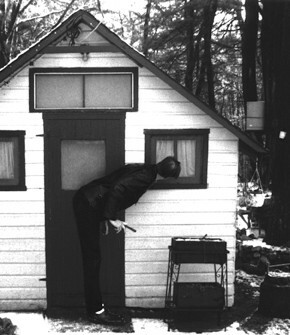 Many leads on alleged Midgetvilles we track down turn out to be nothing more than small groupings of bungalows, originally built as vacation homes. Tiny cottage communities of this sort were very common throughout the state during the first half of the Twentieth Century and can be found along the banks of many a lake and river. They often stand out as odd to people today because they have since been converted into year round homes, yet they are still much smaller than your average New Jersey abode. There have been other sites that we’ve investigated though, where the houses we’ve found have had doorways and windows that are suspiciously small and the buildings would definitely be inconvenient, if not downright impossible for an average sized adult to live in comfortably. According to legend, such houses and communities were custom built for groups of little people who banded together and lived communally, usually after retiring from a circus or the Vaudeville stage. Midgetville is one of those places that people tell you they have been to, but cannot seem to remember exactly where it was. The tales often involve a late night ride many years ago with a friend of a friend who knew how to get there. The stories told of this magical land are all strikingly similar and describe a community where all of the houses have been scaled down to accommodate their diminutive dwellers. But not only are the homes small, but also the traffic signs and even the cars are said to be downsized! Another aspect of these stories that seems to remain fairly constant is the fact that the occupants of Midgetville are usually very angry and hostile toward outsiders. This is undoubtedly because most places rumored to be Midgetville contain no midgets and the residents get very annoyed at the steady stream of late night gawkers who continually plague them year after year. There are seemingly credible people however, who will swear to us that they have seen and even spoken with the wee folk at one Midgetville or another, and that the legends are true, or at least were true at sometime in the past. Our quest for real Midgetville has been one of the main reasons why we are still out on the road after all of these years. For us it is like the Holy Grail of Weird NJ, our El Dorado. If there is in fact any truth to the rumors – if, like so many other legends, this one has some basis in reality, then we must go on and see it with our own eyes. 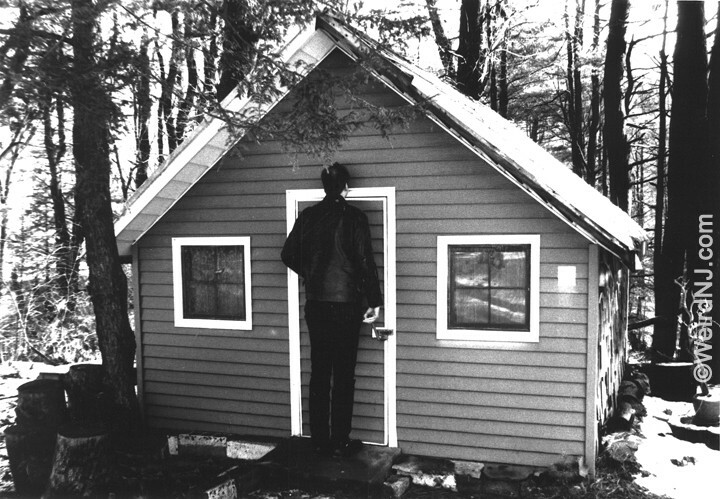 Out of respect for the privacy of the residents, both tall and small, living in the many supposed Midgetvilles around the state, we have never given the exact locations of these communities. Midgetville was on River Road below the GWB. The houses were small and the stop signs small. They were cottages and still exist, although no midgets lived there. It was a rumor spread to keep people out of this exclusive area, even though we always wound up there at 5am after a drunken night. –Steve D.
When I was a kid, we used to ride our bikes down from Cliffside Park to the Midgetville on River Road in Edgewater. We would knock on the doors of these midget-size houses and run away and hide, just so we could see the old midgets answer the door. Yes, there were midgets living there at one time. The stop signs were also nailed low. I have driven through there once or twice in recent years and a lot of the small houses have been replaced with newer, larger houses. The area is prime real estate. My father told me that in the late thirties, before the war, industry along the Hudson River began contributing to the war effort. The midgets were left over Vaudeville and circus workers who found their niche in the war industry. The midgets were used in production shops for specific tasks that were only suitable for their size, i.e. rivet men crawling inside the wings of planes. –Ernest P.
There is this place called Midget Town. It’s a whole town full of midgets and albinos. As a child growing up in North Bergen, I heard many stories of this town but nobody ever wanted to show us because we were too young to visit. As years passed, the legend of Midget Town faded but was still in the back of our minds waiting to be refreshed. In high school, my friends and I did many stupid things. One day we were all drinking and met up with some people out in the Blvd. East cliffs. This one kid from this crew we met told us the story of Midget Town and how he had been there and was nearly killed. We all listened with disbelief, but his details of the story made us want to believe. He told us that he drove through the town late at night with his friends with the headlights turned off. They all started yelling “Fee Fi Foe Fum!” over and over again. A couple of minutes later they noticed that things were hitting the car hard. After the back window broke they noticed that it was rocks being thrown at the car by midgets all over the area. He told us that there were also some normal sized people there too, but they had weird looking eyes. When he was done with his story we all wanted to go and see this village for ourselves. The kid was hesitant to show us, but due to all the peer pressure from all the kids around him he finally agreed. We all got into cars and drove to the spot. I’m not sure exactly what town we were in but it was real close to the entrance to the George Washington Bridge. As we entered we noticed that the houses were unusually small. The doors were just about five feet high, and the roads were very tight. All of a sudden we saw little midgets running after our cars and they were throwing rocks. We didn’t stay because the kid who owned the car didn’t want the car to get messed up, so we left. We were all amazed at the amount of midgets that were there and how pissed off they were. Last night four of my friends and I went to Totowa to go to Annie’s Road. We didn’t see Annie, but we saw Midgetville and took pictures. Then we were coming to the end of the road and we met this midget named George. We also have pictures of him. He gave us his phone number! –Cassie G.
One of my good friends told me about this place where midgets lived. She swore one night she had been driving through the place when she saw a midget out chopping wood. This was around midnight! She got spooked by that, so I could never convince her to take me there. But eventually I did get someone to take me there, and I’ve been through it more than a few times, and have seen the little people in their windows! Unfortunately, I don’t know the name of the road. However I do know it’s on the same road as Annie’s grave, which made Midgetville even spookier! –Guy N.
The lil’ guy saw us, then ran onto this back road. We turned down the road, but no midget – all we saw was woods. We went up and down this small stretch for about 25 minutes and saw no trace of the midget. We never found any houses or small stop signs but ever since then we all now believe in Midgetville. We always cruise down Annie’s Road hoping to come in contact with another one of the infamous lil’ people. –Mike K.
My friends and I are 16 and 17 years old. Recently some of my friends have gotten their licenses so we decided to go to Midgetville. I have an older brother who has gone a few times and said it was pretty cool. We heard the stories of people getting shot at and cars being destroyed by bricks, so we parked under the route 80 overpass and decided to walk in. We went up to a pick up truck to ask for directions. In the truck was a midget driver and a midget kid in the passenger seat. She would not give us directions. We then turned around and another car came up to us. This car was loaded with six midgets. We asked them for directions and the driver gave them to us but he looked really mad that we were there. I don’t know if any “little people” lived there when you guys visited, but recently I visited this small place and there were many, many little people there. I was driving by and I heard bangs as I saw a few dwarves and thought they were throwing cans at my car. When I got out to check the damage, it was much more than I had expected. What I found was nine bullet holes on the passenger’s side of my brand new car. I went to the police and asked them about this. They told me that I wasn’t supposed to be down there, and that any car without a permit that entered, was shot at. The little people apparently have the right to shoot at you from the waist down. –Jessica M.
O Midgetville, Midgetville! Wherefore Art Thou Midgetville? I think that one day we took a class trip to Midgetville. It was somewhere in Northern NJ. The houses were very very tiny, yet the stop signs were normal. We were going to see a play, Romeo and Juliet, and it was in an old Victorian castle – a very tiny castle. The people who put the play on were normal-sized however. 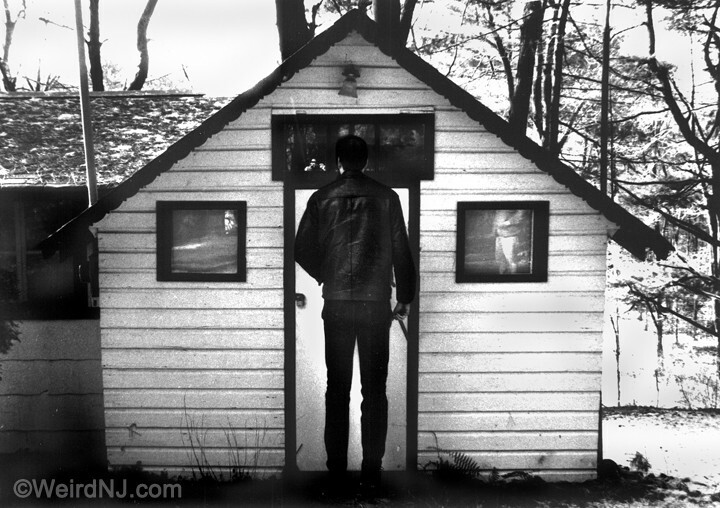 The most credible reports of Midgetville that we’ve investigated are probably the ones that center around a remote enclave of houses in the woods of Jefferson Township in northern Morris County. Though the houses are quite small, it is this community’s close proximity to the old Ringling Brothers’ Estate which really made us wonder whether we had at last found the true Midgetville we had so long sought. Located down a narrow dirt road leading through a pine forest, the Jefferson site seems like just the right setting for the enchanted land of Midgetville. The group of houses that we found there, about eight in all, were indeed quite small, much smaller in fact than the dwellings we had seen in any of the other so-called Midgetvilles we had visited. A few of the dwellings were no larger than the prefabricated back yard sheds that you find at Home Depot. But these were actual houses and cozy little cottages at that, some decorated with flower boxes and Pennsylvania Dutch style ornamentation. For an average sized adult these homes would undoubtedly seem pretty claustrophobic. They would only be able to stand upright at the very center of the house, where the pitched roof was highest, and they would definitely have to stoop down to look out a window or get through a doorway. We knocked on the little doors, and peeked through the tiny windows, but unfortunately there were no residents, midget or otherwise, to be found anywhere. So off we went to look for clues elsewhere about this curious community in the forest. In 1913 circus mogul Alfred T. Ringling purchased nearly 1000 acres of land in this section of Jefferson Township (then known as Petersburg) on which to build an estate and winter home for his performers (many of whom were little people) and his animals. Nestled between the Green Pond and Bowling Green Mountains, the estate proper consisted of 100 acres, with a stately 26-room stone mansion overlooking the grounds, barns and cobblestone elephant houses. The circus would arrive at the nearby Oak Ridge train station each autumn and trek four miles down the dirt path of Berkshire Valley Road on foot or by horse drawn wagon to the Ringling estate to spend the winter months. Celebrated artists of the day from all over the world would visit Ringling Manor and perform in the mansion’s theater for Alfred and his family. Troupes of hopeful acrobats seeking employment would audition their death defying acts for the Ringlings on the theater’s built-in tight rope and trapeze. Upon Alfred’s death in 1919 the circus moved to Bridgeport, Connecticut, then to Sarasota, Florida, its winter quarters to this day. Today Ringling Manor is the St. Stanislaus Friary, a monastery for the Capuchin Fathers. When Weird NJ went in search of the Jefferson Midgetville we stopped in to ask the fathers if they could give us any information which might shed some light on the fabled land we sought. Though the friars were gracious enough to give us a tour or the old mansion, they said they knew nothing of any midget colonies located nearby. Is it merely a coincidence that a cluster of extremely small cottages is located so close to the estate where a circus that employed many little people performers once wintered? Or is it possible that Alfred T. Ringling had these homes custom built to make his tinier attractions more comfortable? Compared to the massive stone buildings constructed to house his ponderous pachyderms, the houses of Midgetville would seem a small price to pay. 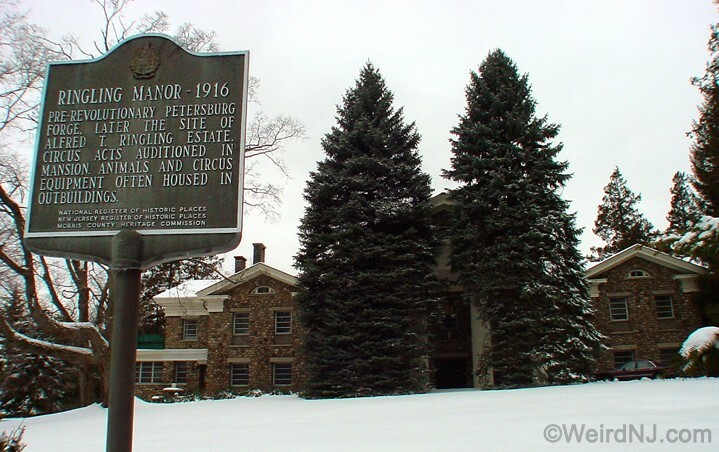 I grew up in Jefferson Township, in the northern corner of Morris County. Midgetville is actually on a dirt road near the old Ringling Brothers estate, which is now a retreat for nuns. This Internet story is only an excerpt of the information we have published on this subject. 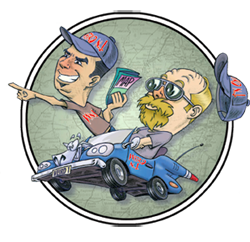 For the full story we suggest you SEARCH our past issues of Weird NJ Magazine. To keep up to date on this story and all the other weird goings on in the state, subscribe to Weird NJ and we’ll deliver it to your door. 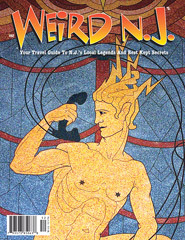 If your local bookseller, newsstand or convenience store doesn’t carry Weird NJ, just tell them to call us toll free at 1-866-WEIRDNJ and we’ll be happy to stock your favorite store for you. This entry was posted in Fabled People and Places, Stories and tagged Circus Freaks, Edgewater, Hobbitville, Jefferson, Midgetville, Munchinland, Ringling Brothers, Tinytown, Totowa. Bookmark the permalink.